We’re busy planning and preparing for the exciting calendar of events we’ll be attending and supporting over the next few months. Take a look at the TouchRight Event Calendar for Spring 2019 where we’ll be showcasing our latest software updates and new features, including Lone Worker Protection, an option to allow tenants and landlords to add comments and repairs to reports, plus our latest Integrations with industry software partners. This will be the seventh year that we’ve exhibited at ARLA, the largest event in the private rental sector. It’s always an action-packed day and it’s great to catch up with existing customers and spend some time with potential new customers, demonstrating how easy it is to use TouchRight to create high-quality, branded property reports. It’s also a useful opportunity to get up to speed with the latest industry headlines and keep abreast of ever-changing legislation! Drop by our stand for a chance to win a delicious Betty’s hamper. 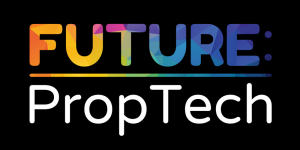 FUTURE: PropTech is well established as the leading event dedicated to technology innovation and digital transformation in the property sector. As a forward thinking proptech business we’re delighted to be exhibiting again this year. We always embrace the opportunity to network with industry peers and demonstrate how our digital property reporting software can save agents (and other sectors) time, money and paper. This year it’s all about collaboration so we are sharing a stand with our integration partner Signable! Expected to welcome 12,000 people over three days, the Chartered Institute of Housing’s annual event is Europe’s largest housing festival. It attracts a diverse audience of sector leaders to share ideas, best practice and innovative solutions. This will be our second year as an exhibitor and we’re hotly anticipating a very busy and inspiring few days meeting and engaging with a variety of professionals from many different housing sectors. Following our very successful ‘Yorkshire’ event last year, we can’t wait to hit the road again and host our next TouchRight on Tour Masterclass in Edinburgh! We’ll be showcasing our latest range of TouchRight features, including a variety of ‘top user tips’, to make property reporting even faster and easier! Keep your eye out for more details coming soon.